If you’re getting bitter coffee, that doesn’t mean that you’re using too much ground coffee beans. In fact, you can still get bitter coffee when using less amount ground coffee beans. Bitter or weak coffee is simply due to over-extraction or under-extraction. During the coffee extraction process, once all the oils and essences of the coffee grounds have been extracted by the hot water, the only things that remain within the coffee grounds are bitter-tasting elements. If the hot water is still within the filter basket once all the oils and essences have been extracted, it will also extract these bitter-tasting elements, thus resulting in a bitter tasting cup of coffee. If the hot water has passed through the coffee filter before extracting all the oils and essences of the ground coffee, then the result would be a weak cup of coffee. The grind will determine how long the hot water makes contact with the ground coffee. Imagine the water flowing through either a layer of fine sand or a layer of stones. The finer the grind is, the longer it will take for the hot water to seep through coffee grounds and flow through the filter. Likewise, the coarser the grind is, the less time it would take for the hot water to seep through the coffee grounds. Therefore, if you’re getting bitter coffee, you should adjust your grind to a slightly coarser consistency. If you’re getting weak coffee, you should adjust your grind to a slightly finer consistency. 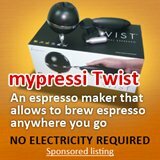 If you find that your coffee grinder can’t give you the level of coarseness and consistency that you need (i.e. 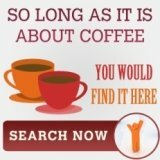 still getting bitter or weak coffee), you might want to look up on some coffee grinder reviews. Investing in a good grinder is just as important as getting a good coffee maker. 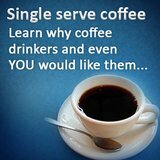 Other than the above, you need to know and manage several other components in order to avoid bitter or weak coffee. Ensure that the roasted beans is fresh prior to grinding so as to ensure the freshest brew. A ratio of ground coffee to water that makes a great tasting cup of coffee is 2 tablespoons or 10 grams of ground coffee to six ounces of water. This is a great starting point that you can adjust to your liking, depending on how strong you want your coffee to be. 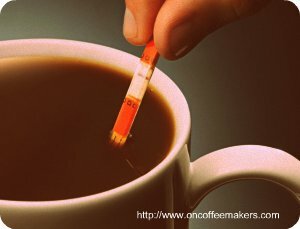 If possible, always used filter water, as the chemicals in our tap water might lead to strange taste when brewing coffee. 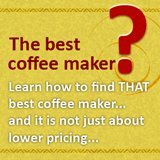 Reading various reviews on coffee machines is a great way of getting your hands on a good coffee maker; however, brewing the best tasting cup possible with that coffee maker requires an understanding of how the coffee extraction process works, and how you can make the most out of the crucial components of the coffee extraction process. Therefore, always remember to buy fresh beans, grind the sufficient amount of beans for one brewing cycle, and use filtered water, that should mitigate the issue of bitter or weak coffee.